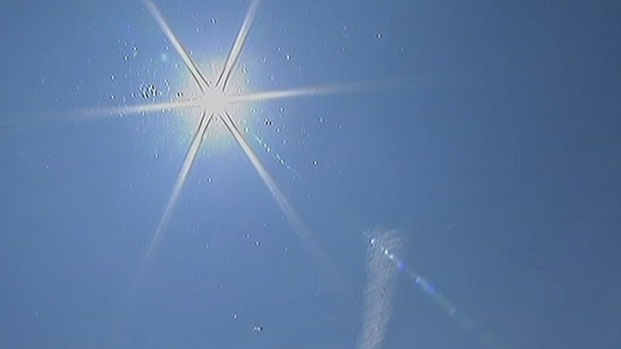 Many places in New England passed 95 degrees yesterday, the fifth consecutive day of 90 degrees plus. Today will feature hot, humid air, and thunderstorms. Another factor will be fog, which will be especially dense along the south coast Wednesday morning. Temperatures start out in the 70s, although at the Canadian border there will be a few 50s on the north side of a weak shower generating boundary. July 4 will be much like yesterday with many spots getting into the 90s, also a few scattered to heavy showers and a thunderstorm. The wind is a little different though, coming in from the east at 10 to 15 miles an hour in southern New England. That means cities like Boston south to Cape Cod, and Cape Ann, may only have a high temperature in the 80s. 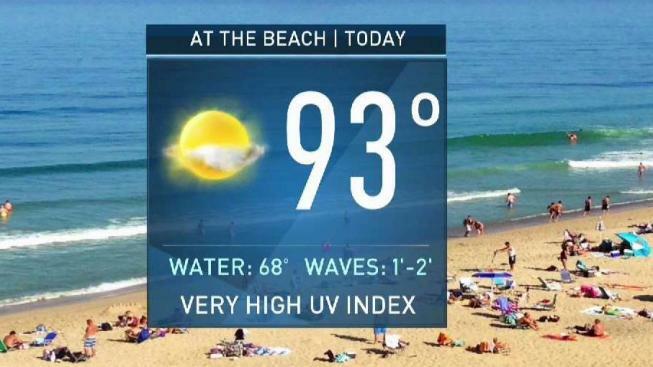 But from the Merrimack Valley to the Connecticut River Valley and points north, highs again in the mid 90s will make for day six of the heat wave. As for the Independence Day fireworks and show in Boston, expect temperatures near 80 degrees after sunset, and very humid conditions. There may be an afternoon shower but it looks dry for the sunset and concert at Boston specifically. Both today and Thursday afternoon feature pop up showers and thunderstorms; the threat is a little further to the north tomorrow. Temperatures will once again be in the 90s on Thursday, cooler at the south coast. Fog may linger through midday. A heat breaking cold front arrives on Friday, and will keep temperatures mostly in the 80s, though a few places will hit 90 degrees to make it a seven-day heat wave. But the heat gets broken by a line of strong to severe thunderstorms sweeping from northwest to southeast during the day. High pressure from south eastern Canada pushes in on Saturday and stays the weekend, with sunshine temperatures will be mostly in the 70s on Saturday to low 80s on Sunday, with much lower humidity making for comfortable nights for sleeping. Next week starts to warm up a bit with the next that are storms probably there Tuesday into Wednesday.